Walgreens: Possibly FREE Cottonelle Toilet Paper! 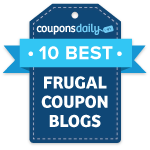 You may be able to get some Cottonelle Double Roll Toilet Paper (4 pack) for FREE! The 4 packs may be ringing in at just $1 – regular retail is $3.49, so this seems like a really sweet deal! 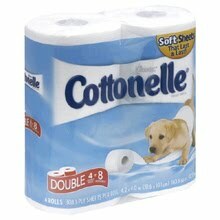 Plus, you can use the $1/1 coupon from here: IE or Firefox to get some FREE Cottonelle Toilet Paper! Remember to press the back button to print a total of 2 coupons per computer. Keep in mind that this unadvertised sale price may not be available nationwide.